The WISSA 2019 Registration fee for Junior (19 and younger as of 2-4-19) is $100 until January 1st 2019. After January 1st registration for youth will be $150. On Site registration will be $200. 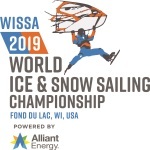 The Registration Fee will cover: participation in the WISSA 2019 races, T-Shirt, free lunches on the ice Monday thru Saturday and dinner at the Awards Ceremony Saturday, February 9, 2019. Racing will be across from Wind Power on Lake Winnebago.